Come and celebrate all the recent publications of over four dozen SUNY Geneseo faculty, staff, and students! Please join us for light refreshments and the chance to chat with colleagues about their published works! 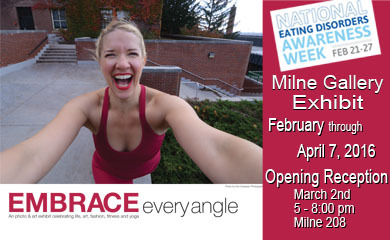 Milne Library is bringing in a new exhibit to bring awareness to issues of health, wellness, and body image in conjunction with National Eating Disorders Awareness Week, which begins on February 22, 2016. Local business owner, yoga and fitness instructor, producer and artist, Liza Savage-Katz, has collaborated with 12 different photographers/artists and with tremendous support from many local businesses, has created the Embrace Every Angle project. This includes photographic prints of over 50 ‘Embrace Every Angle’ poses, shot throughout Rochester and surrounding areas (including here on campus!). On March 23rd, join us again when Liza will offer a Yin Yoga Practice at 5 pm followed by a talk on Self Acceptance at 7 pm in Milne 213. Stay tuned for further information! The mission was to create fine art photographs and paintings celebrating yoga as a holistic approach to expression, creativity and existence, as well as to raise awareness of the beauty and artistry abundant in Rochester. In demonstrating that artistic expression and individual and community well-being go hand in hand, Liza and friends brought together the fitness and arts industry to create a project for the betterment of both our local, as well as our global community. After years of struggling with an eating disorder and Body Dysmorphic Disorder (BDD), this project has also been journey of body acceptance and self-love for Liza. The images are available for purchase ,with a percentage of proceeds benefitting a several local and global charities. Twenty five percent (25%) of proceeds of the photographs from the exhibition will go to support a variety of charities – selected by the individual artists – including Verona Street Animal Shelter, The Friends Project, Moonshadows Spirit, Living Water, Pachamama Alliance, ARC of Monroe, Heal the Bay, Rochester Community Rowing, Women’s Foundation of Genesee Valley, Breast Cancer Coalition of Rochester, and Synthesis Collaborative. Check out EEA on Instagram! The photographers/artists exhibiting are Kris Dreessen (SUNY Genese0’s Manager of Editorial Services for College Communications), Jasna Bogdanovska, Vashon Jamal Broyld Sr, Tracy Grier, Teri Fiske, Lindsay Kathryn Jewett, Bailey Johnson, Darren Miller, Nitin Sampat, Janine Susz, and Amy Vena. Each artist collaborated with Liza in creating approximately 3-5 yoga images to showcase. 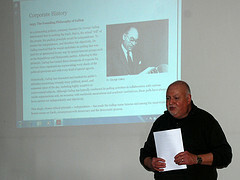 Within the images, unique, distinctive and beautiful aspects of Rochester and its surrounding areas are highlighted. 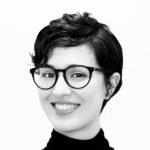 Liza Savage-Katz, a native Rochesterian, lived in London for 5 years as a Senior Art Director in advertising and after traveling for a year, settled in Los Angeles. There she taught yoga and fitness, as well as incorporated her commercial modeling, art and design skills background in helping to launch Move with Me Yoga Adventures, the Kids Get Movin’ DVD for the Center for Movement Education and Research, as well a the Kidtribe, Animal Yoga and Phresh Kids programs. About three years ago, Liza moved back to Rochester with her son, Zuma. She has been teaching yoga and fitness as well as coaching crew and being a wellness coach throughout Rochester. 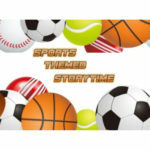 She recently started a productions company that creates fitness and educational programming. On Friday, March 5th, the exhibit concurrently opens at Editions Printing from 7-9pm in Rochester, NY. A 6-foot painting, “Filling the Void”, 22 years in its creation will be exhibited here. This one of a kind painting was started by Liza and finished together with the support of local artist and friend, Jen Facteau. 100% of the sale of “Filling the Void” goes to finance a documentary and fundrasier for the Lost Boys of South Sudan. 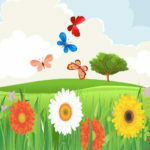 The artwork will be shown through month of April and appointments can be made for viewing with Liza Savage-Katz. Look for a more detailed article on the Embrace Every Angle Project in the December issue of Rochester Women’s Magazine online. Or visit WHAM Channel 13’s bright spot. 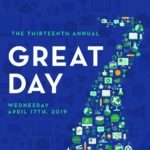 Come and celebrate all the recent publications of SUNY Geneseo faculty, staff, and students! Please join us for light refreshments and the chance to chat with colleagues about your recent publications. 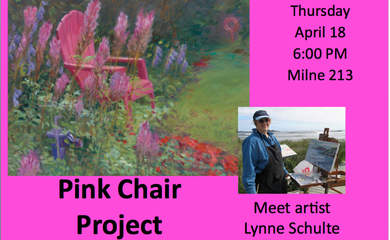 Please join us to meet with the artist, and take the opportunity for questions and answers. Light refreshments will be served. 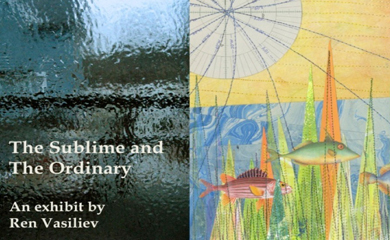 Don’t miss out on the Lamron’s story of Dr. Vasiliev, “Geneseo’s Unexpected Artists.” The exhibit, a collection of photos and collages, will be displayed in Milne’s Gallery until October 31, 2013. Come one, Come all to the Gandy Dancer Ball!! 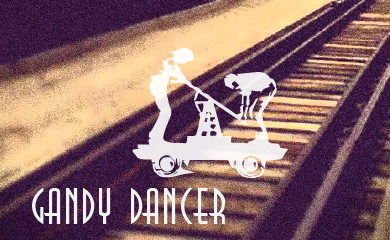 Please help us celebrate the official launch of Geneseo’s new online literary journal, Gandy Dancer, Issue 1.2. Nourishment for body and mind provided! Join us to talk about data! Wednesday, April 24th, Milne Library will host A Celebration of Data on the upper level of the library from 4:30 – 5:30 pm. 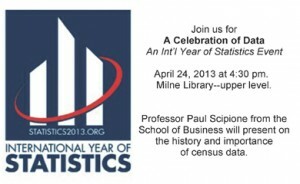 This event is one of hundreds being held by over 750 Colleges and Universities worldwide who are hosting discussions surrounding data and statistics as part of The International Year of Statistics 2013. The campus and Geneseo community are invited to share in a discussion about how our census and data collection can be most meaningful. Light refreshments will be served. 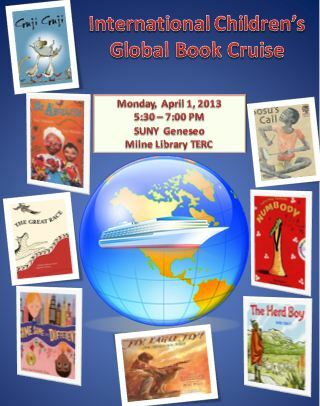 Take a cruise with International Children’s Literature and help celebrate International Children’s Book Day! Didn’t get a chance to get away this year for Spring Break? 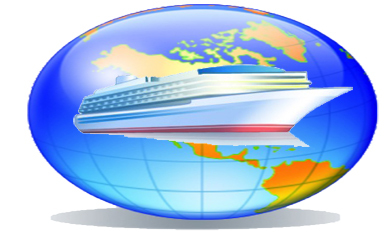 It’s not too late to explore a few new destinations!! 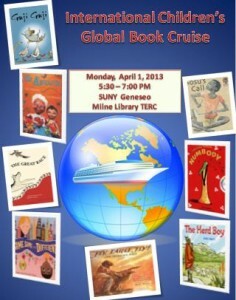 Embark on a Global Book Cruise and visit exciting international destinations through picture books. Passengers on the cruise will enjoy read-alouds, crafts, games and snacks inspired by outstanding international children’s books. Hosted by School of Education graduate students, this event is geared towards children in grades K – 2; though it is open to faculty, students and community members of any age. Inspiration for this event came from The International Board on Books for Young People (IBBY) International Children’s Book Day (April 2nd). The program will take place on Monday, April 1, 2013 from 5:30 – 7:00 PM in Milne Library’s Teacher Education Resource Center (Lower Level). For more information please email Michelle Costello, Cheryl Kreutter or Maria Perpetua Liwanag. 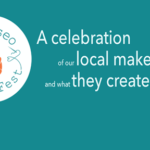 Milne Library will host its annual Geneseo Authors Celebration on Thursday, Nov. 15, from 5-6 p.m., at which many faculty and staff will be recognized for the work they’ve published during the past year. And what a busy year it was for our authors, who collectively produced dozens of journal articles, book chapters, encyclopedia entries, monographs and more. 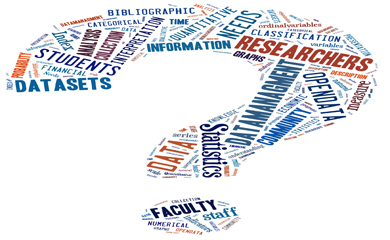 The authors represent many departments on campus and a wide variety of fields, and the following list includes just a sampling. Distinguished Teaching Professor of English Gene Stelzig continues to work in the area of Romantic autobiography, with special interest in the manuscript journals and diaries of Henry Crabb Robinson at Dr. Williams’s Library in London. 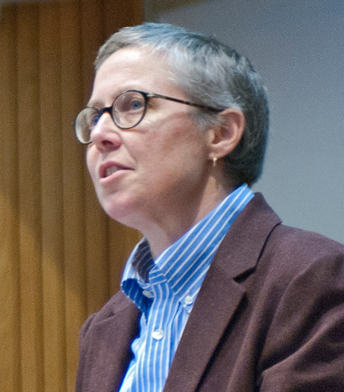 Professor and Director of Writing Rachel Hall, also in the English Dept., has written a short story set in 1972 that examines family relationships against the larger political landscape of the time. 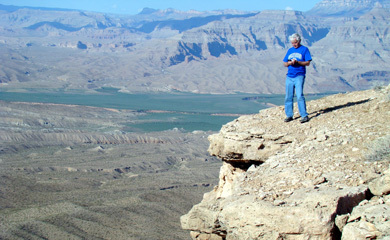 Over in Geological Sciences, Distinguished Service Professor Richard Young has been continuing his work on the geologic history of the Southwest (maybe you’ve seen him on the History Channel’s Grand Canyon documentary!). And recent research done by Distinguished Teaching Professor David Geiger (Chemistry Dept.) and colleagues involves the synthesis and structural studies of novel di-substituted benzimidazole derivatives bearing appendages that have the ability to interact with metal ions. Benzimidazoles, he explains, are a class of compounds with many pharmacological uses, such as anti-psychotics, anti-ulcer, anthelmintic, and antifungal agents. By varying the substitution pattern on the benzimidazole, the pharmacological activity can be modulated. 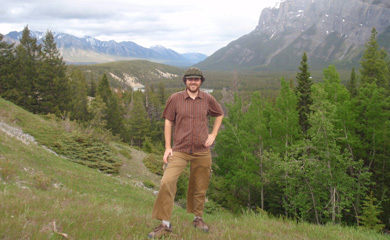 Patrick Rault, assistant professor of mathematics, has lately been doing research that gives new structural information about the number of points with integer coordinates lying inside of two hyperbolas, and for points with rational coordinates on plane curves. He collaborated on some aspects of this research with student Wilson Cheung, who won an award for his presentation of these findings at Mathfest, the annual meeting of the Mathematics Association of America, last August. 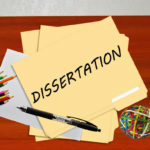 History Professor Emilye Crosby continues her research of the civil rights movement and race relations in Mississippi and has recently published an article exploring the history of school desegregation in Claiborne County, alongside analysis of oral histories, memory, and competing local and national narratives about school integration. Atsushi Tajima, assistant professor of communication, has published separate articles detailing his findings concerning celebrity mothers’ weight-loss narratives in People magazine, as well as Japanese imaginings of Blacks and race in popular media. 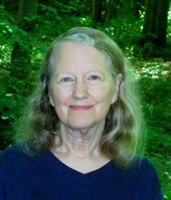 And Distinguished Teaching Faculty Emerita Margaret Matlin has seen two of her textbooks, Cognition and The Psychology of Women, published in new editions. In the School of Education, Assistant Professor of Reading Maria “Perpie” Liwanag’s research has led her to collaborate with Milne’s Steve Dresbach on how preservice teachers use knowledge of eye movement miscue analysis to design book trailers, and with Steve and Librarian Michelle Costello on the effects of collaborating to provide preservice teachers ways to integrate technology in literacy instruction. Also this year, she co-authored an article with a student describing how foreign languages can be taught to elementary students using a comprehensible input framework. Provost Carol Long is expected to be on hand at Thursday’s event to recognize these and all of this year’s faculty and staff authors. 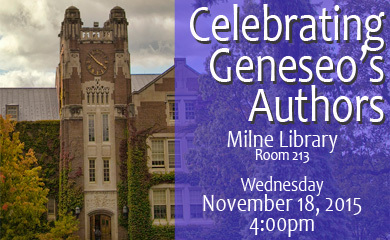 Please join us in the Special Collections area on the Lower Level of Milne to celebrate the excellent work being done here at Geneseo! And if you’d like, check out our Facebook Event and let us know you’re coming!